By Joshua Molina, Noozhawk Staff Writer | @JECMolina | March 23, 2018. 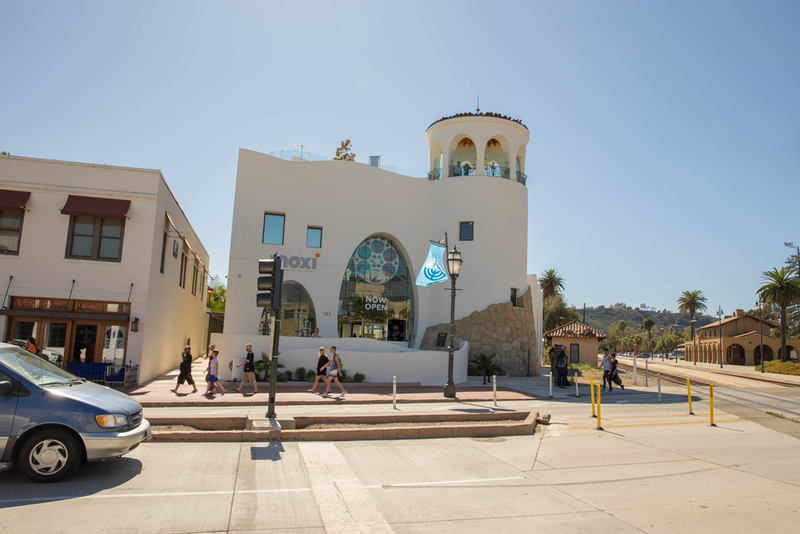 The first year of MOXI has been a success, museum president and CEO Robin Gose said in a report to the Santa Barbara City Council earlier this month. The city rents the space at 125 State Street to MOXI, The Wolf Museum Of Exploration + Innovation, for $1 a year. According to the presentation, more than 175,000 people have attended MOXI since it opened on Feb. 25, 2017. The museum has served as one of the new anchors of the area bridging downtown and the waterfront, along with the opening of the Hotel Californian and La Entrada project on the first block of State Street. Years in the making, the MOXI has emerged as destination for families, school trips, private parties and special events. “It is an example of where the community is partnering with the city; It is a great success,” City Administrator Paul Casey said of MOXI. The museum already has a membership of about 5,700 and in its first year, nearly 9,500 students from 77 different schools and organizations have attended the museum, Gose said. MOXI opened its doors free of charge to all Thomas Fire and Montecito debris flow evacuees, and first responders and their families, and offered free classroom space and field trips to displaced Montecito-area students and teachers. In her report to the City Council, Gose highlighted other achievements as well, including summer camps, great online reviews from visitors, and a strong social media presence. Gose said the museum has also launched an Apprenticeship in Informal Science Education program, in partnership with UCSB. This year, the museum plans an Innovation Workshop, with different monthly themes and week-long activities and officials plan a continued rotation of new media art installations. There will also be new exploration stations and free Tuesday morning organized field trips for toddlers, called Toddler Tuesdays. In a partnership with the Dos Pueblos High School Engineering Academy, MOXI plans to stage Exhibit Prototyping, Gose said. MOXI has held about 25 private event facility rentals in its first year and popular adults-only Twilight Time evening hours. “I am very excited to be a part of the community and I am very excited to be a part of MOXI,” said Gose, who relocated her family from Austin, Texas to lead the organization in November. Gose said she is looking forward to the museum further expanding into the community. “Now that the museum has been open for a year and we have sort of figured out how to turn on and off the lights we are ready to dig in a little deeper,” Gose said.